For a small yearly fee, professional property management can save you valuable time, money and headaches, making your investment journey a lot smoother, so finding the perfect property manager is something not to be rushed. In addition, the property management fee is fully tax deductible, so the argument that you can save a few dollars with a bit of DIY property management really isn’t warranted. It is advisable to engage a property manager who knows the location of your investment intimately and can easily provide detailed information on local services and infrastructure, including shopping facilities, schools, recreation and medical facilities and public transport. A good property manager will be able to assess your investment property to determine how much it should be marketed to prospective tenants for. 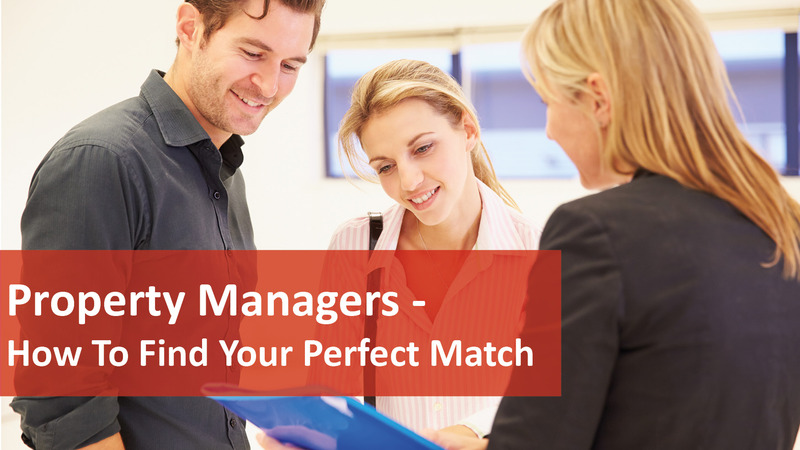 A good property manager will stay on top of any maintenance issues as reported by tenants and ensure they are responded to in a timely manner, by the right tradespeople. How long have you been in property management and worked in the local area? What can you tell me about the local rental market and where do you think it’s heading? Do you have a team of professional and experienced support staff who can manage my property in your absence? How do you screen tenants and what questions do you ask on your rental application form? How will you determine the rental value of my property and can you provide me with comparable rentals? How do you intend to market my property and in what forums? Is your advertising material professional and does your agency have a prominent name in the area? Do you have a tenant database that you can use to fast track the letting process? How do you deal with rental arrears and maintenance issues? How often do you conduct inspections? Do you provide detailed inspection reports with accompanying photos of any damage, etc that should be recorded? What is your process for dealing with repairs and do you have reliable tradespeople that are used on a regular basis by your agency? How often will you conduct rental reviews and tenancy renewals? What process do you use to ensure my property is left in excellent order at the end of a tenancy and how do you minimise vacancies between tenants? Can you please provide references from current landlords and is it possible to speak with any of them? How much are your management fees and are you willing to provide a written guarantee as to the quality of your service? For more advice on choosing a property manager, give us a call on 08 6254 6300.